The large tropical wave that was near the Antilles Islands has been upgraded to Tropical Storm Emily as of 7:30 PM last night by the NHC. Emily at this time is a storm with 40 MPH but should slightly increase for the next 24-48 hours. One of the reasons Emily is struggling somewhat is because there is a lot of dry air to the north of Emily and the flow from that dry air is wrapping around the storm thus making difficult for intensification. There is also a upper trough that is to the NE of Emily and that outflow is shearing the north side of the storm and again limiting the amount of intensification. This upper trough will be leaving within the next day or so and this may allow some further intensification, but this will be gradual. If Emily makes landfall in the western edge of Hispaniola, Emily may or may not survive the crossing to the Atlantic due to some mountains as high as 10,000 feet. Assuming Tropical Storm Emily does cross to the Atlantic, weakened but still tropical in nature, Emily may regenerate and some strengthening may be foreseeable. The track for Emily is very uncertain and Florida/Bahamas may be the next target. The trough will be lifting out, roughly during hours 72-96 and Emily may head a little more west-northwest heading somewhere in the vicinity of Florida or the Bahamas. Eventually a shortwave will cause a sharp turn northeastward and take Emily out to sea. If Emily stalls for a long period of time, then the track for Emily will be changed and Florida may have to deal with her. Everyone in the possible affected areas should keep an eye on this storm. Tropical Storm Bret which at one time was close to attaining hurricane status but due to dry air entrainment along with vertical shear from the north of Bret, the storm has struggled to keep it’s identity. The southwesterly flow of a tropical ridge is expected to make Bret on a northeasterly track. 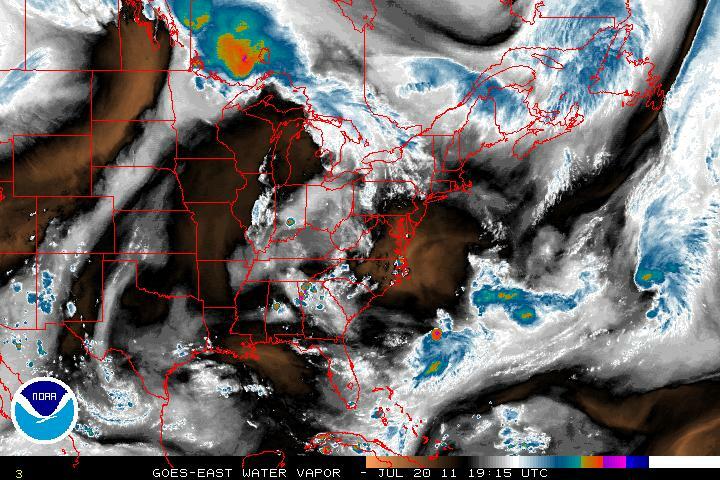 Furthermore, there is a large area of dry air along with subsidence in the middle Atlantic states. This mixture should introduce dissipation of Bret within two or three days, if not sooner, as that dry air heads southeastward toward Bret. Invest 99L is a low pressure system about 565 miles ENE of Bermuda and has been getting better defined during the day and was updated as Tropical Storm Cindy as of 5PM Advisory from the NHC. Tropical Storm Cindy is in some warm SST’s and may continue to strengthen for a day or so. After that it will be cooler waters which will allow Cindy’s transition to an extratropical storm. 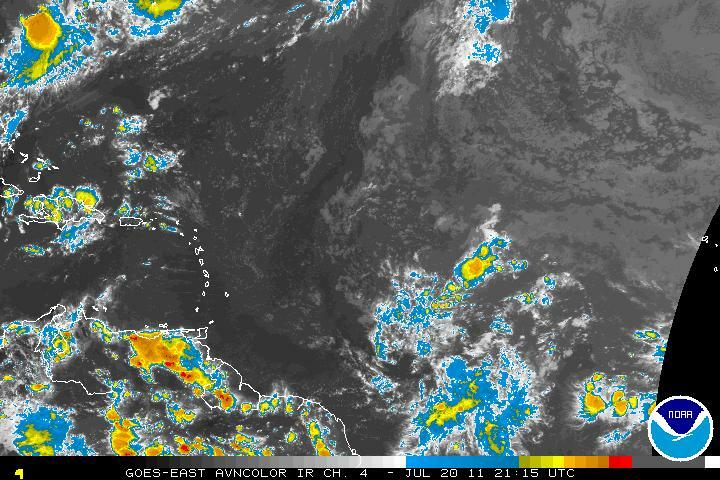 A large tropical wave east of the Windward Islands may be our next Invest in the next couple days. This wave does have some cyclonic turning but at the moment, convection is limited. Only the Euro (ECMWF) model is seeming to pick this system up. Whether or not any other models jump on board or if this tropical wave will develop, remains to be seen. A couple days ago a few models were hinting that a weak surface trough may detach itself from the frontal boundary. 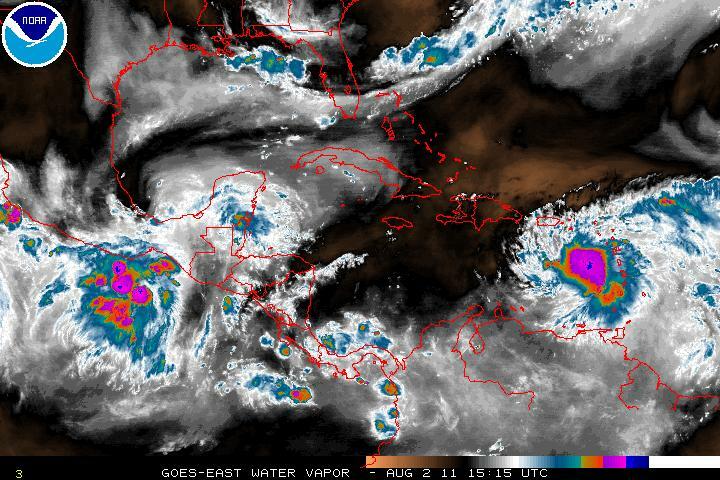 Yesterday afternoon, Invest 98L was initiated as thunderstorm activity had become better organized. Upper level winds are are slowly diminishing and this may allow for a more conducive environment for possible better organization of this system. The synoptic pattern should keep it drifting slowly southward for the next 48 hours or so. 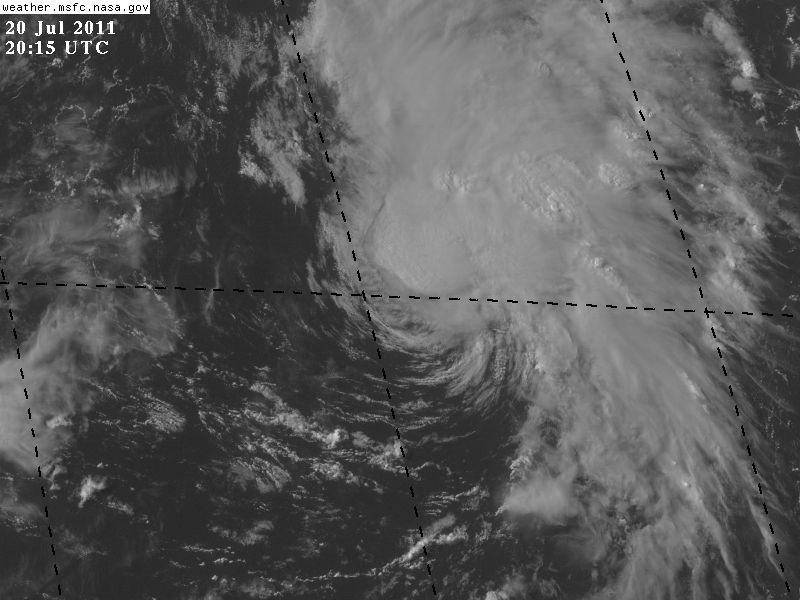 Some cyclonic turning is presented by satellite. At the moment the surface pressures are still too a bit to high. Mid-level shear from the NW is also hindering any development but this will be relaxing. Model guidance, at least for right now is not showing cyclonic development, but this is due to the resolution for these models. Recon will be flying into this system later today and when we get a fix from recon and models will be initialized for the 00z (zulu time) run which might clear up the uncertainty. 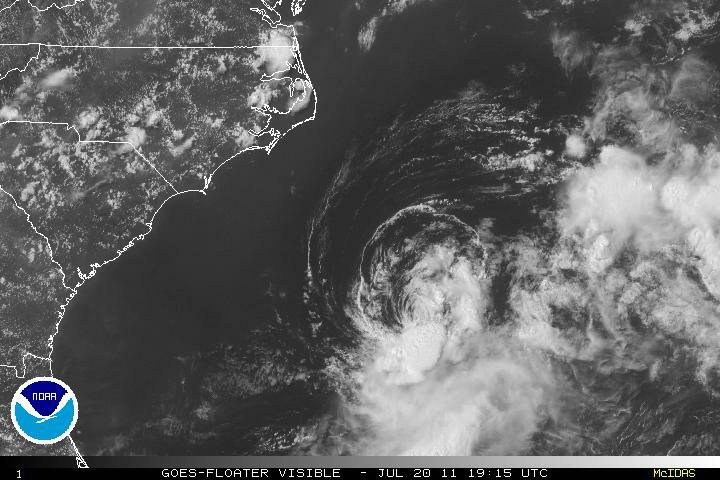 If the convection can tuck under the LLC (Low Level Circulation) along with Invest 98L heading southward a possible tropical depression may develop within the next couple days or even hours. The track for this system is a bit difficult as it doesn’t have a LLC yet. 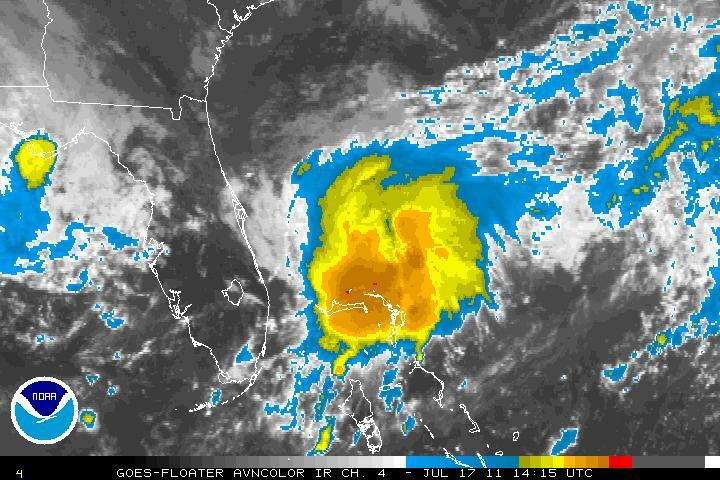 Being that the system is close to the coast of Florida, all interest should keep tabs on this system. 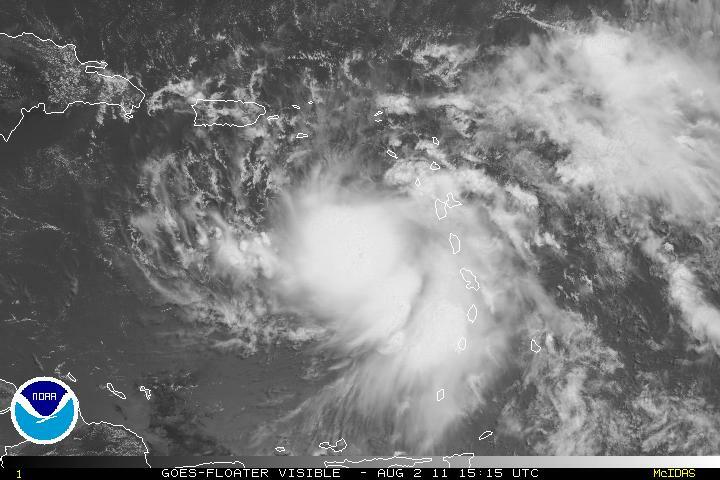 UPDATE: As of the 5PM advisory, Invest 98L has now been upgraded to Tropical Depression Two. 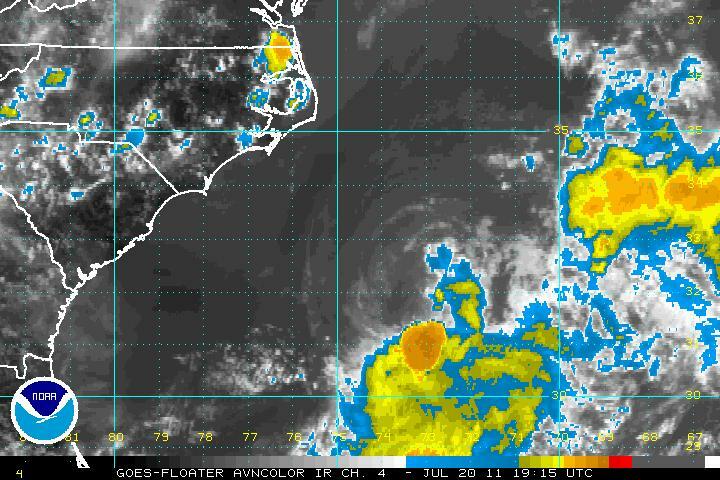 The system was found to have a LLC but a lot of the convection has diminished. 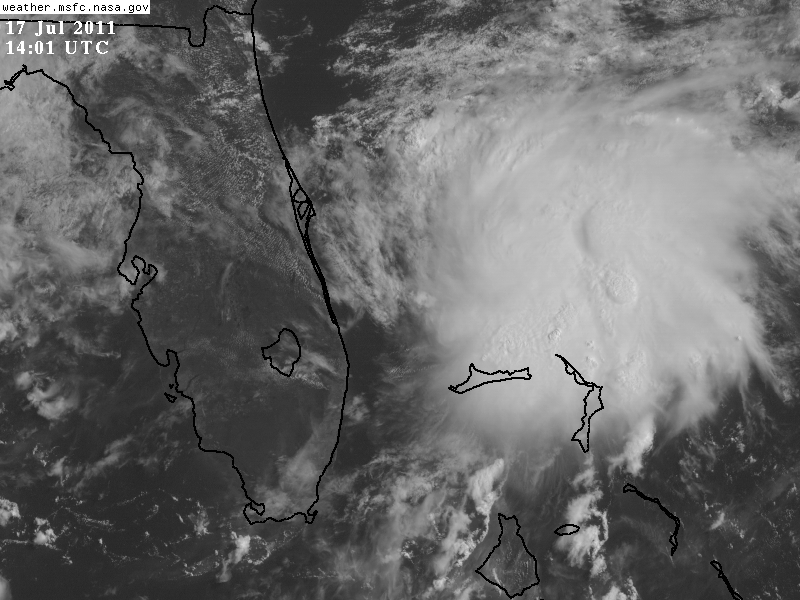 Dry air to the north of the system should keep the system from developing into a hurricane. Most of the models guidance in now in agreement that TD Two will continue to drift southward in the short term but a weakness in the sub-tropical ridge will allow a northern turn and eventually a northeasterly track. The LGEM model (intensity) suggests that TD Two will develop further into a Tropical Storm but holds limits it to just a Tropical Storm but not a hurricane. UPDATE: As of the 8PM advisory, TD Two has been upgraded to Tropical Storm Bret and the satellite images have been updated to reflect the change. 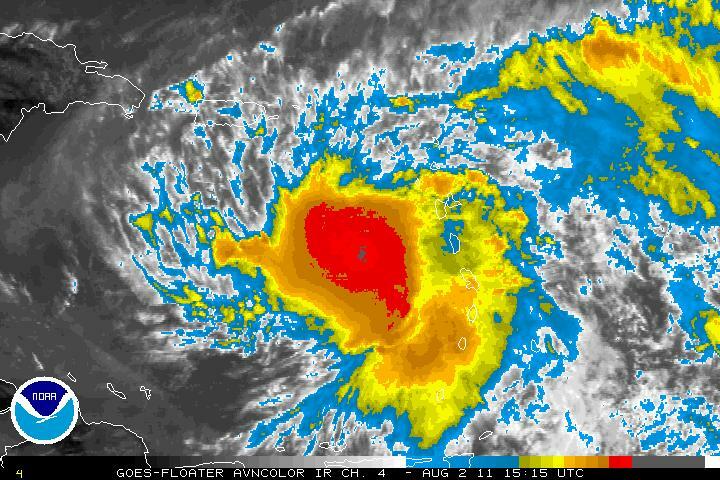 Convection has been consolidated near the LLC. Maximum winds have increased to 40 MPH and strengthening is forecast.